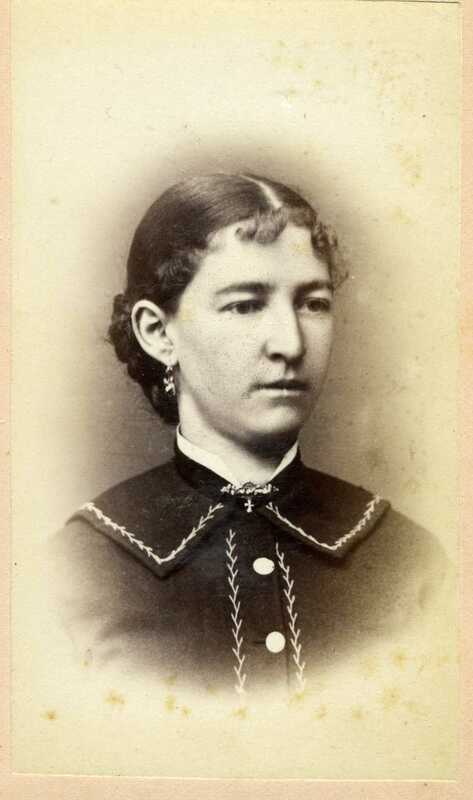 Unknown woman probably a member of the Bremer or Landauer family. She wears a dress or jacket with a large collar and a hand embroidered design around the collar and down the front placket. She has a small broach at her neck and small earrings. Printed on the back of the card: J. W. Crater was located at 72 Canal St., Grand Rapids and his only city directory listing is for 1880-81.